Back row from left to right are: Lorne Grimston, James Crutchley, R.L. Cliff (President), John Waltham, J.H. MacDonald (Manager), Hec Cant, Richard Butler. 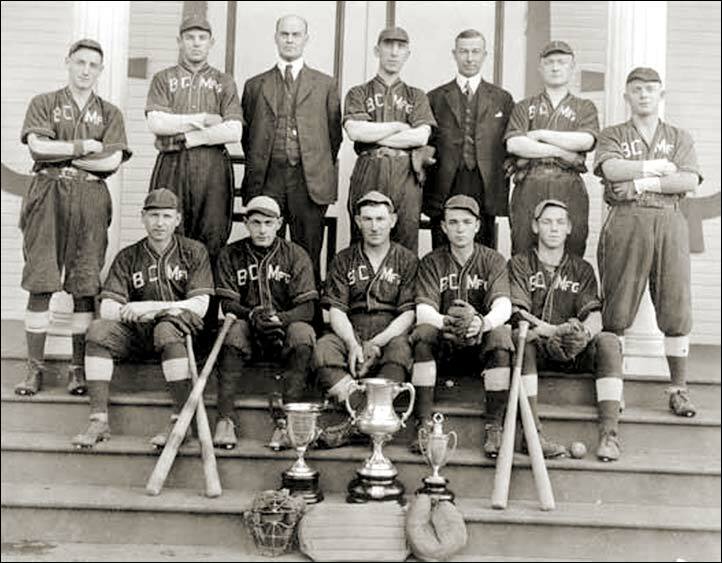 Front row from left to right are: Jack McCrea, Gordon “Sweeper” Currie, Earl Cruver (Captain), Duncan Finlayson, Doug Grimston.